OLD PARKED CARS. 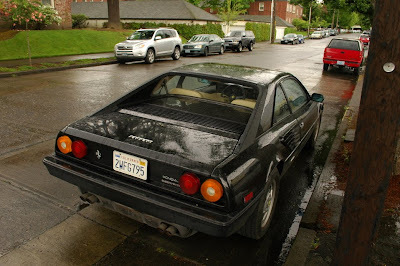 : 1985 Ferrari Mondial Quattrovalvole 2+2. 1985 Ferrari Mondial Quattrovalvole 2+2. My 3.5-year-old daughter says, "I like the black car." I really dig the 2+2ness, but it's hard to tell how cool I'd feel sitting in it. But anyway, big ups to anyone who puts in the work of owning one and driving it regularly. I think I saw this car being repaired at the shop on 54th and Foster a couple of weeks back. 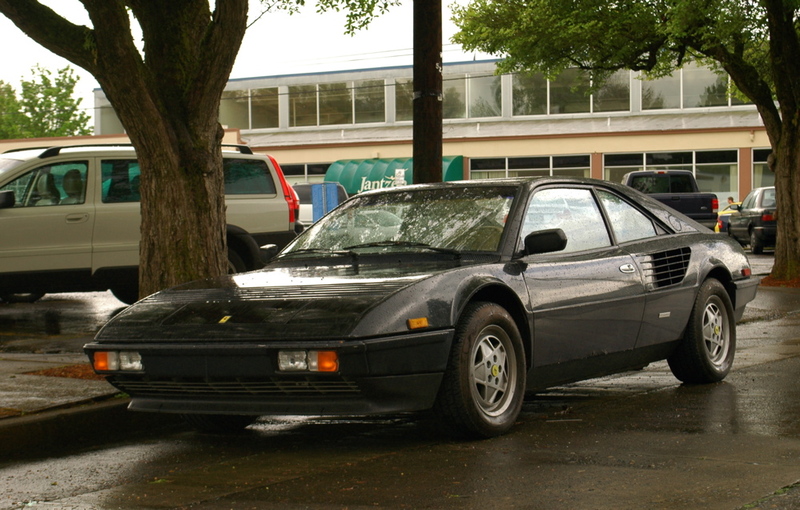 The lot is usually full of Alfa's and BMW's so the Mondial didn't really pop out until I looked at it again. 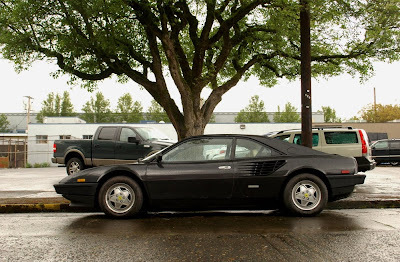 I love the idea of it being daily driven. Drove one of these once. The wheel well intrudes into the cockpit; made me feel like I was driving down the road sitting sideways.